Intriguing name, eh? 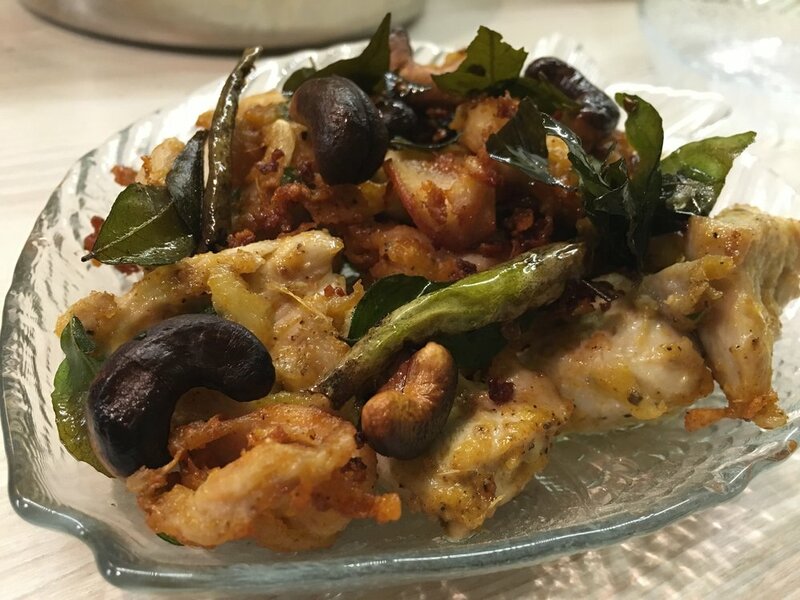 The story goes many ways, but the two versions I've heard of are that the dish is called Chicken 65 because it was the 65th item on the first menu it found its way onto, and that Buhari restaurant in Chennai, India, introduced it in 1965! What remains undisputed is that this is one fiery side dish, and a hot (no pun intended) favourite starter in India. The original Chicken 65 has since, quite inevitably, inspired the Paneer 65 and the Gobhi (cauliflower) 65. It's super easy to make and quick too. The only thing that takes time is the marination. But if you plan in advance, this is a crowd pleaser you must give a go! If you'd like it really spicy, add an extra teaspoon of chili powder when you're tempering the spices!